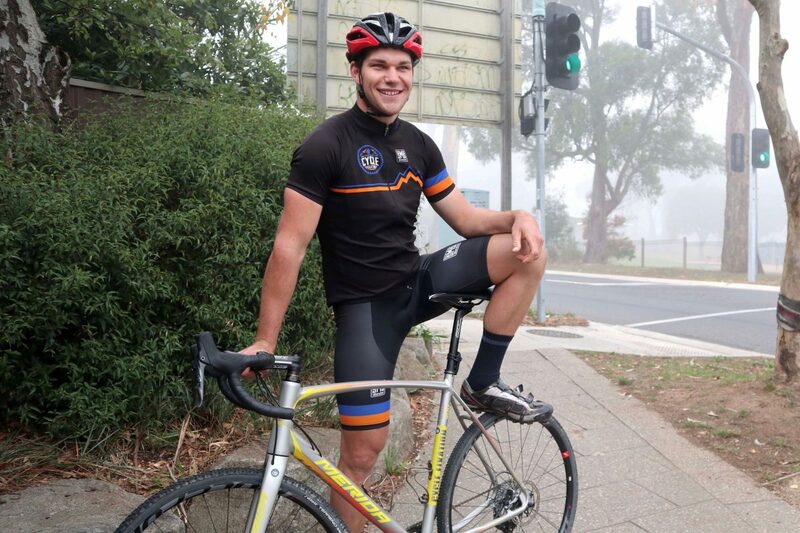 In this article and video we will provide an overview of Trent Piribauer’s wheelie up Melbourne’s famous 1 in 20 hill climb. 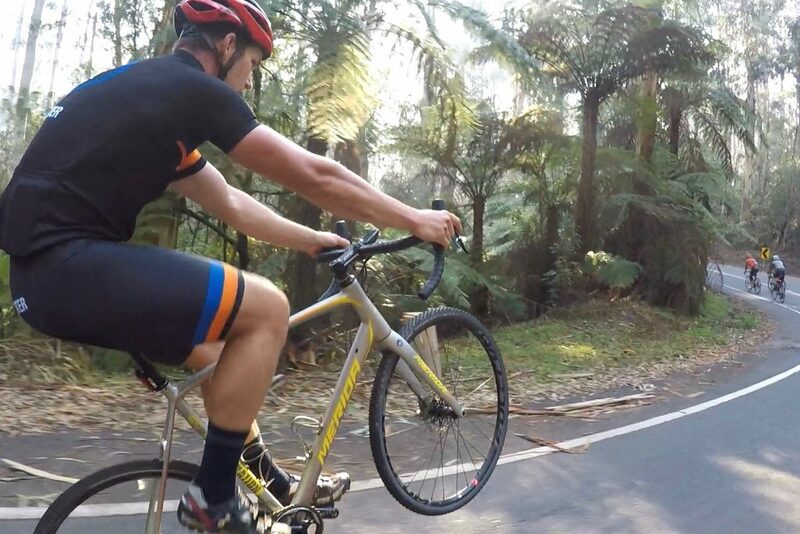 This was Trent’s second successful attempt to wheelie the entre 6.7 km distance of this popular climb in the Dandenongs, and for this time around Trent invited Bike Chaser to come along to document the epic wheelie. To cut to the chase, Trent’s laid down a time of 24 minutes and 29 seconds for anyone out there who’s keen to take on this incredible challenge. I was sitting at my desk a number of weeks ago. A message comes through to me on Facebook from an Ex work colleague I keep in touch with, Ben Hardman. “Hey mate, I have an idea for Bike Chaser content” he says. Here we go, I think to myself. What could this possibly be. While we do love content ideas it’s sometimes a little overwhelming with the amount of opportunities that are out there! Most are just not possible because of precious time. “What’s the ideas”? I respond. I start frothing at the mouth. What an cool story! We almost had to pull the pin. As you can see from the video footage, it was misty morning with extremely poor visibility, including some light rain. Doing a wheelie on slippery roads – especially when you’re taking 6.7 km worth – is not an ideal proposition. However, both Trent and I made our way out to the Basin (Dandenongs) in hope the weather would be OK.
I’ve never met Trent before, outside of a brief phone call. What a massive unit, I think to myself as I approach. How is this specimen going to wheelie for 20 plus minutes? Immediately I warm to Trent. He’s a likable character with a grin from ear to ear. I’m trying to one-up a mate. As Trent starts his attempt I position myself next to him with a GoPro. From a personal perspective I cannot wheelie at all. In fact, I can’t even track stand. Watching this huge man wheelie continuously right next to me for the first couple of minutes was kind of a surreal experience. Almost like I was in a dream. Then, Trent start’s talking to me. So what’s the deal with Bike Chaser? You’ve got kids? Etc. I’m thinking to myself, is this guy human? He’s performing the most impressive bicycle trick I’ve ever seen in my life and he’s chatting to me like we’re out for coffee! Shouldn’t he have razor sharp focus. Surely I’m distracting him purely by my presence, let alone a personable conversation. In addition to this, we start riding past people. Trent is on one wheel and he’s riding past many other cyclists riding up the 1 in 20. This just keeps getting better, I think to myself. We hit the false flat section of the 1 in 20 climb. This is where I can see Trent’s focus narrows in on the bike and his positioning. Later he admits this is the hardest part. 1.5km out from the finish my GoPro freezes! As I’m playing around with the camera I lose focus on Trent and moments later he loses focus too. Roughly 1 km out from the top of the 1 in 20 he drops the front wheel. With sweat running down his forehead, he says “let’s go again”. It was certainly an interesting morning up the 1 in 20. Not only was Trent riding the whole thing on one wheel, the weather was highly unusual. Extremely misty on the bottom and top, but clear and sunny during some of the mid section. Trent once more continues to ride past other cyclists and ride the wheelie like a pro. Although this time around he’s not as chatty. Fatigue has definitely come into play. People are cheering him on either as they ride past him or as he rides past them. After the false flat for the second time, he’s on the final stretch and I can tell he’s hurting. The sweat is pouring through his helmet and he’s starting to motivate himself. Come on mate, you’ve got this. Come on, push through this. Only 2km left, you’ve got this. Only 1 km left, you’ve got this. The immense focus, grit, and determination got him through extreme lactic acid build up, from which was essentially two 1 in 20 wheelies in a row! At the top of the climb other cyclists who have been tackling the climb on two wheels come up to Trent with huge smiles. They congratulate him on the effort, blown away by the man who rode past them on one wheel. High fives fly all-round, and then Trent checks his clock. The official Bike Chaser time to beat is: 24 minutes and 29 seconds. 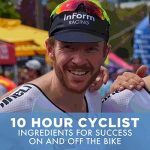 From the team at Bike Chaser – Well done Trent! 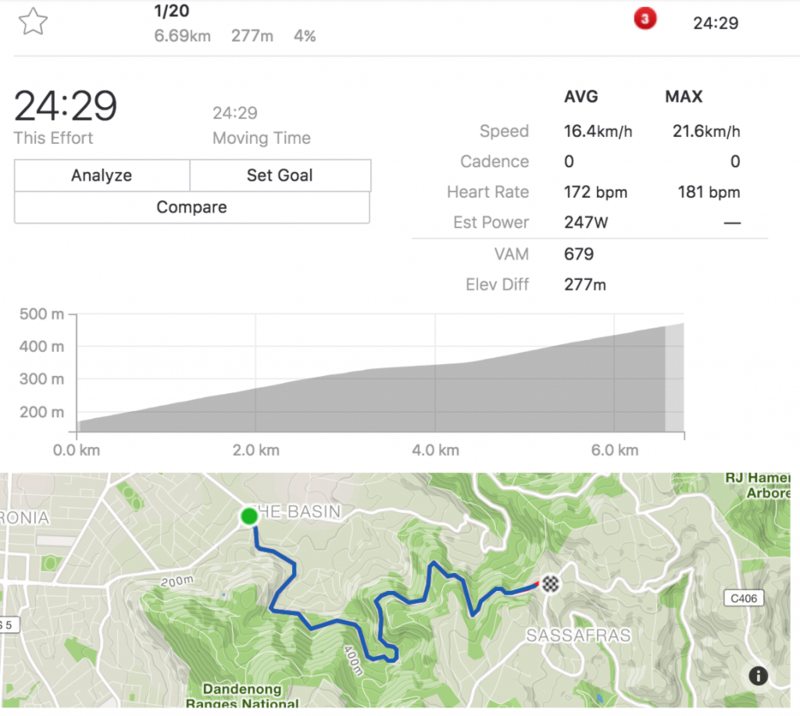 Trent’s Strava 1 in 20 details from the wheelie. 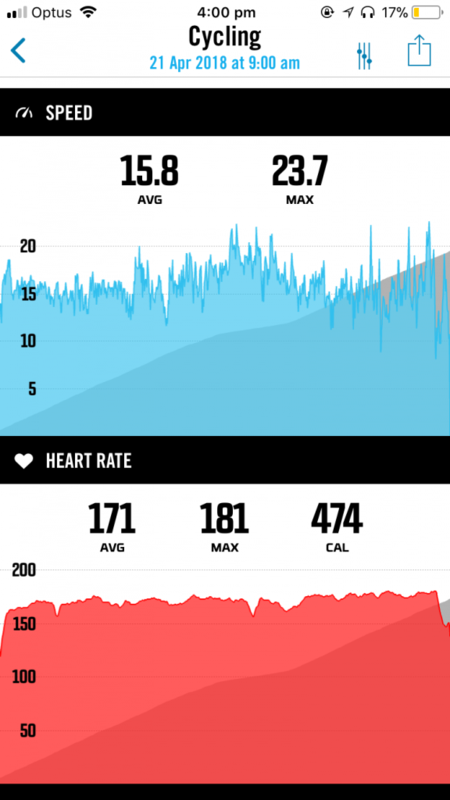 Trent’s heart rate was basically in the red for the entire second attempt. I bore witness to this amazing feat! Well done Trent for a superb effort!